Dr Brian has spent the last 27 years as a GP in Brisbane, recently moving to the Gold Coast. Dr Brian is passionate about child health, in particular reducing the risk of injury for toddlers around the home. He is skilled in minor surgical procedures and likes assisting patients with preventive healthcare. Dr Brian enjoys sailing, travel, photography and indoor skydiving. Dr Brian promotes a holistic philosophy and encourages his patients to be healthy to enjoy the benefits in all areas of life. 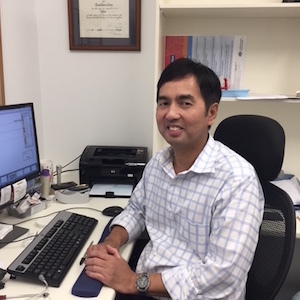 Dr Brian’s special interests include minor procedures such as excisions of cysts and moles, ingrown toenails, removing unwanted body piercings, preventive healthcare, vaccinations, child health, antenatal care and avoidance of drug addiction such as alcohol, tobacco, opioids and stimulants.